AARP Digital Editions offer you practical tips, proven solutions, and expert guidance. In The Secret of Shelter Island, nationally renowned financial analyst and bestselling author Alexander Green explores the complicated relationship we all have with money and reveals the road map to a rich life. Drawing on some of today's best minds and many of history's greatest thinkers, The Secret of Shelter Island is both a much-needed source of inspiration and an insightful look at the role of both money and values in the pursuit of the good life. If you want to understand what ultimately provides meaning, contentment, and the satisfaction of a life well-lived, then read The Secret of Shelter Island. ALEXANDER GREEN is the Investment Director of The Oxford Club, Chairman of Investment U, and the Editor of Spiritual Wealth. He has been featured on CNBC, Fox News, and The O';Reilly Factor, and has been profiled in the Wall Street Journal, BusinessWeek, Forbes, Kiplinger's Personal Finance, and many other publications. 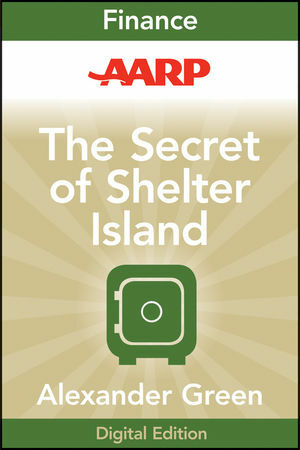 He is the author of the bestselling title The Secret of Shelter Island.